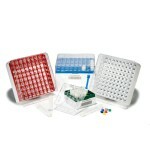 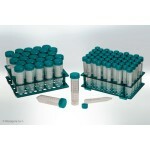 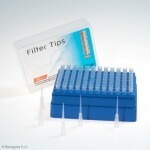 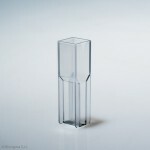 Boxes in polycarbonate for storage of 2D CryoGen® Tubes 2 ml and 5ml, internal and external thread cap. Different models are available to accommodate either 81 or 100 CryoGen® tubes. 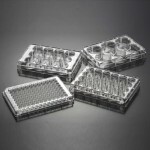 These durable cryogenic storage boxes are designed to be used at temperatures between -196°C and +121°C and are autoclavable at 120°C, for 20 minutes. 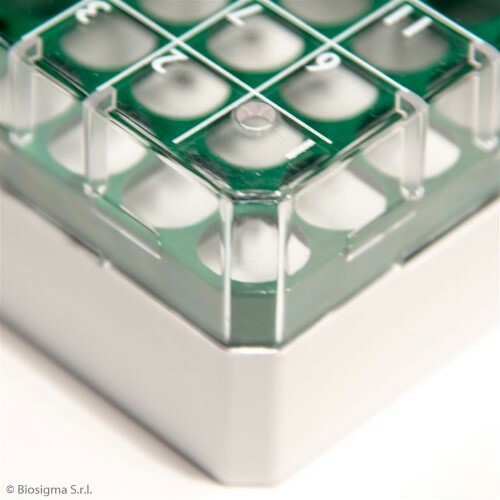 Polycarbonate boxes for the refrigerated storage of CryoGen® Tubes. 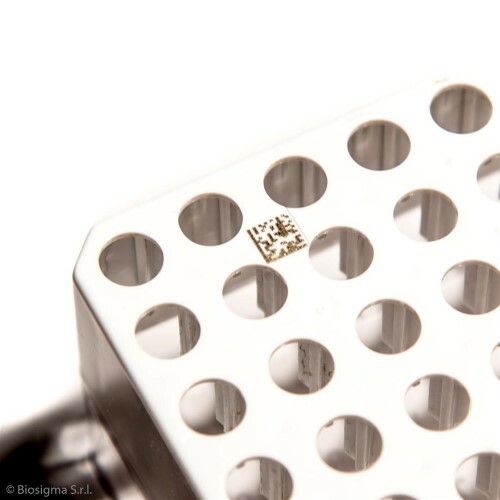 Laser engraved “Code 128” on the rack side with human reading decoding, readable with the most common barcode readers. 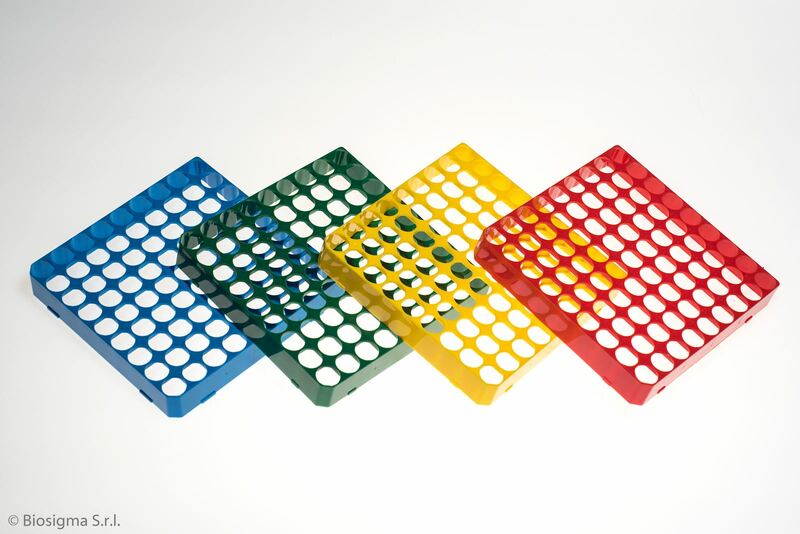 Four different colours of grids for better colour-coding: Blue, Yellow, Red and Green. 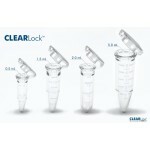 Locking system: 2D CryoGen® Tubes will securely lock in each well and will not turn. 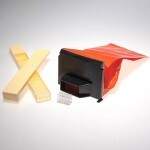 Easy screwing and unscrewing by one hand. 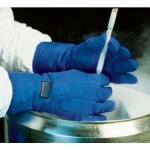 At what kind of temperature they can be used? 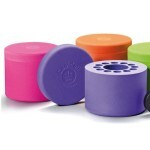 They withstands temperatures range of -196ºC to +121ºC. 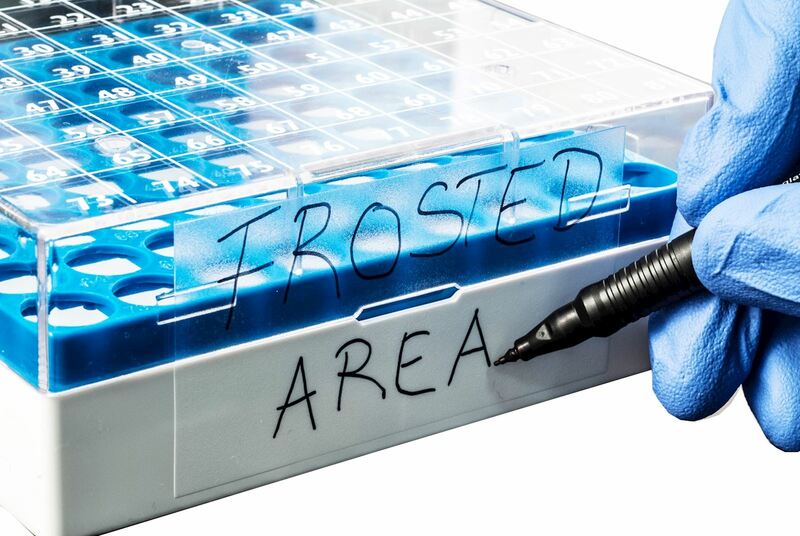 Can they be used in the gas phase of liquid nitrogen? 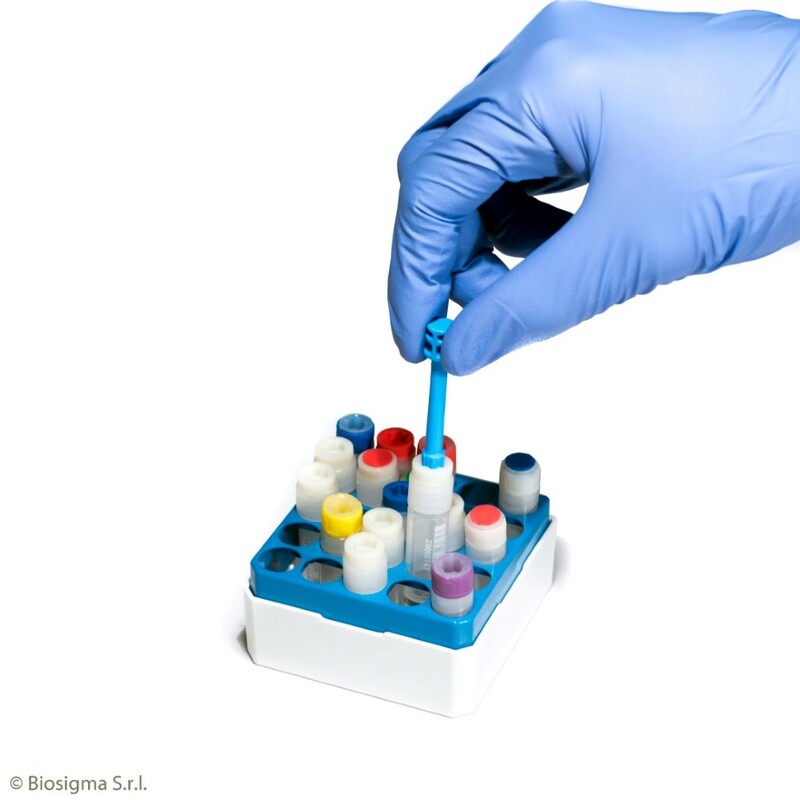 Yes, we recommend the storage in the gas phase above the nitrogen (-178 to –150ºC) to be absolutely safe and avoid any kind of risk or biohazard release. Do they have dimensions suitable for the use with stainless steel cryogenic box storage rack? 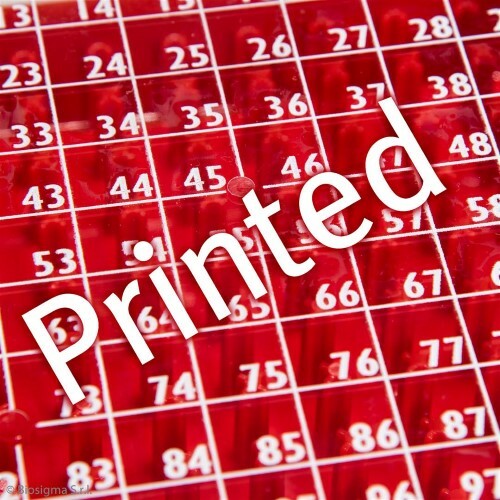 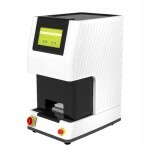 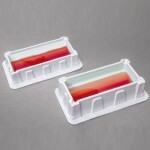 Which type of scanner can be used to read "Code 128" on Polycarbonate Cryoboxes 1D/2D? 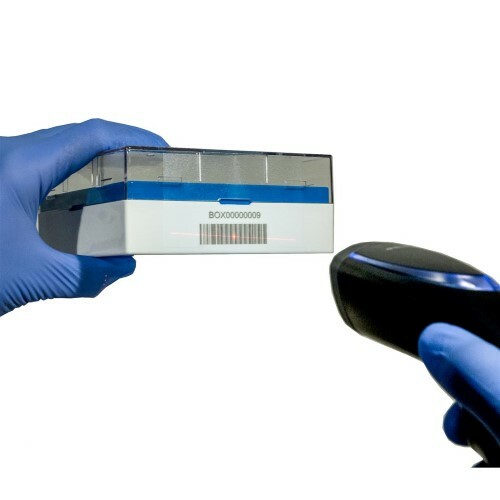 "Code 128" barcode can be read by the most common scanners that you can find in the market. 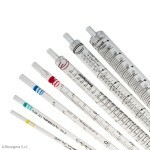 With what kind of cryotubes they are compatible? 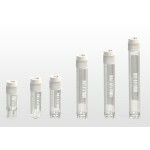 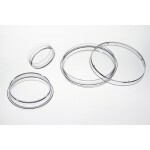 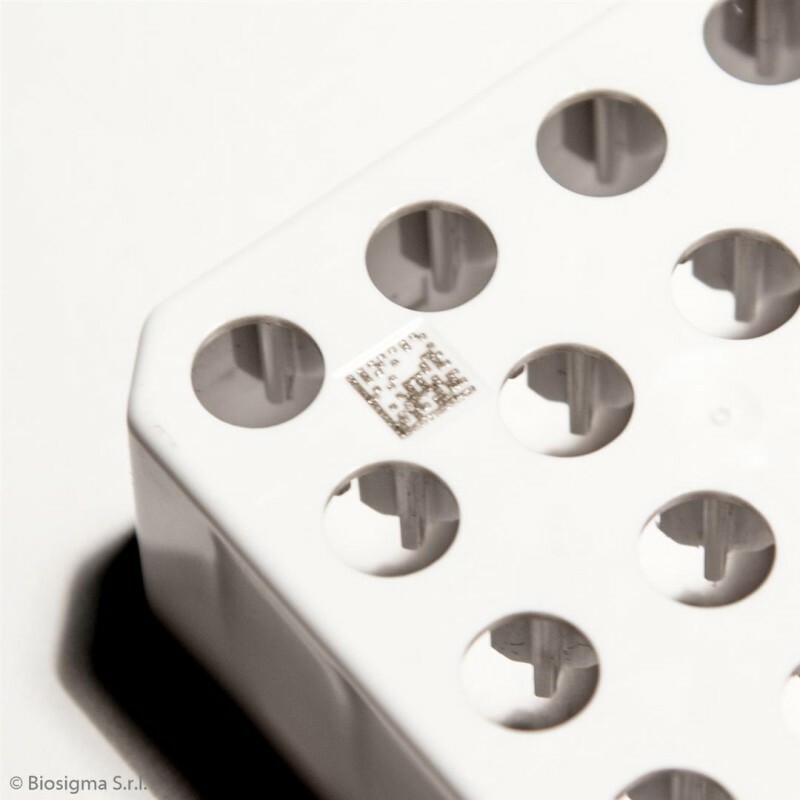 They are compatible with cryogenic tubes ranging from 0.5ml to 5.0ml. 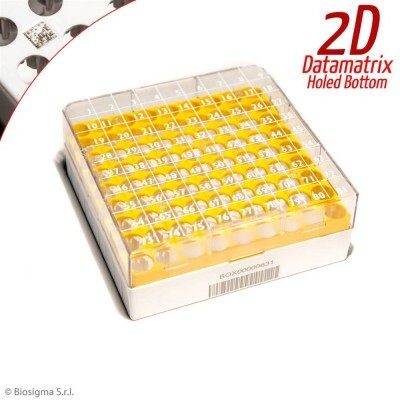 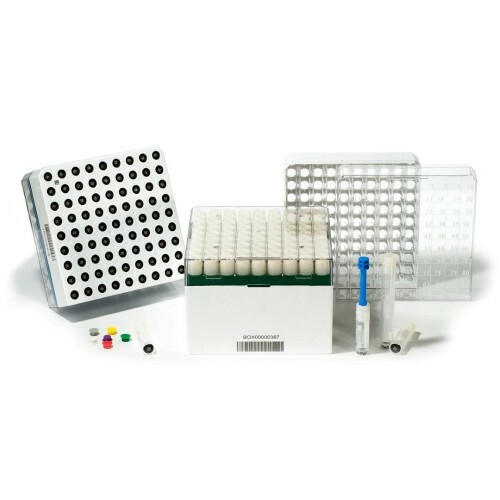 CryoGen® Box 81 places - 2D - for 2 ml 2D tubes, yellow grid, numbered lid and grid, writing area on box side, barcode lasered on rack side, in polycarbonate, 132x132x52 mm. 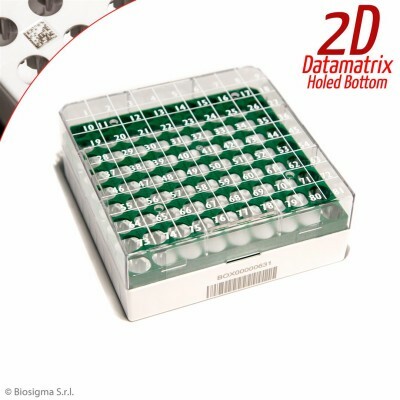 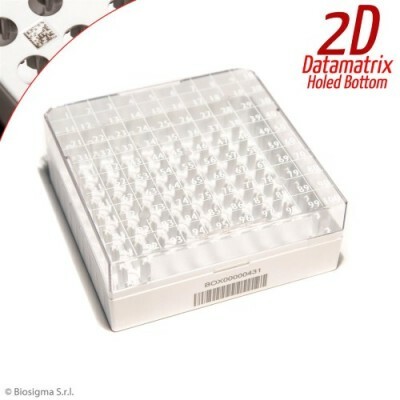 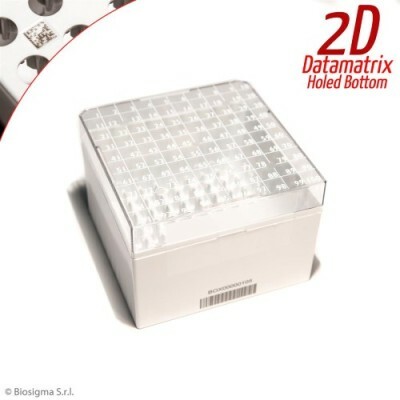 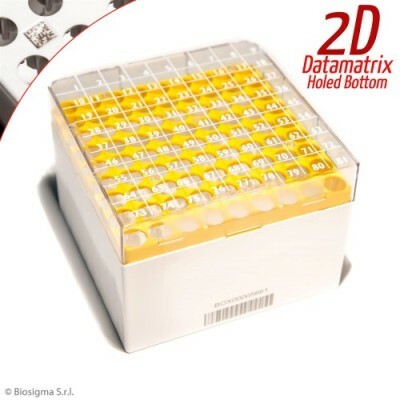 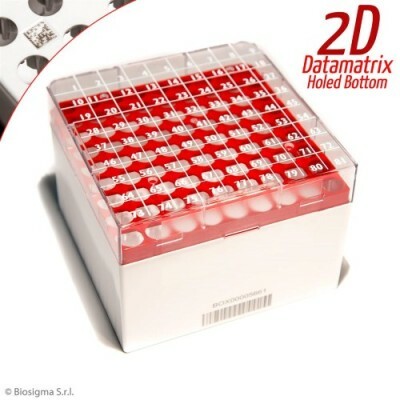 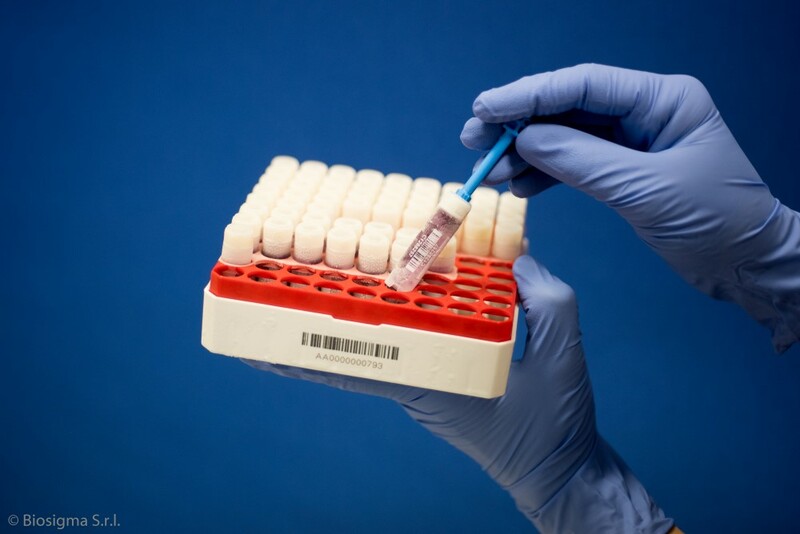 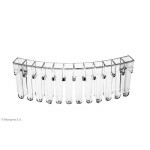 CryoGen® Box 81 places - 2D - for 2 ml 2D tubes, red grid, numbered lid and grid, writing area on box side, barcode lasered on rack side, in polycarbonate, 132x132x52 mm. 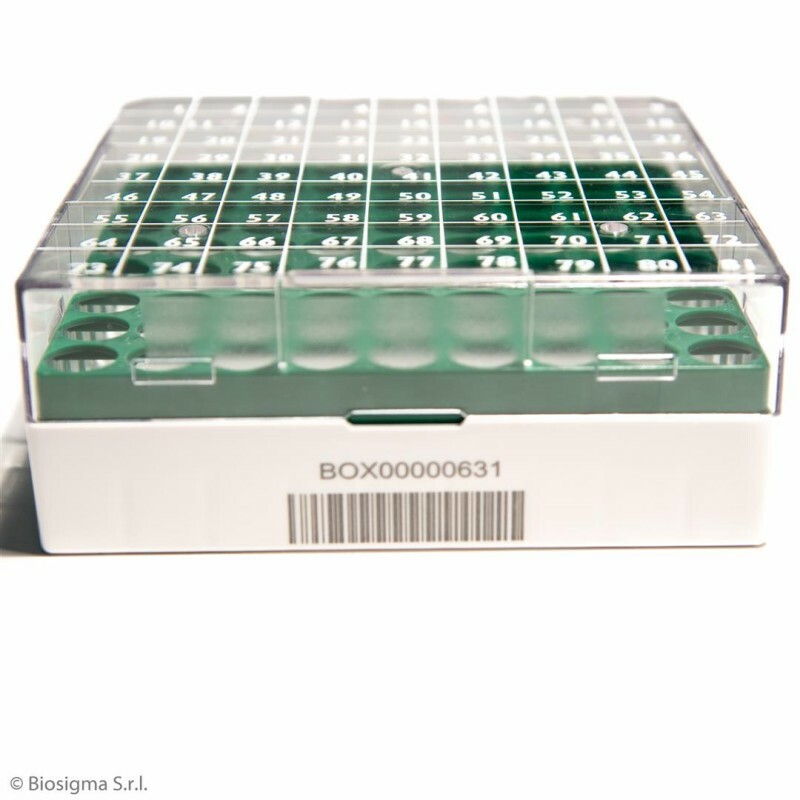 CryoGen® Box 81 places - 2D - for 2 ml 2D tubes, green grid, numbered lid and grid, writing area on box side, barcode lasered on rack side, in polycarbonate, 132x132x52 mm. 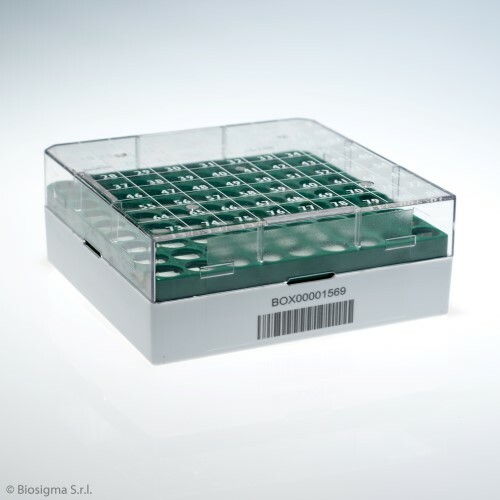 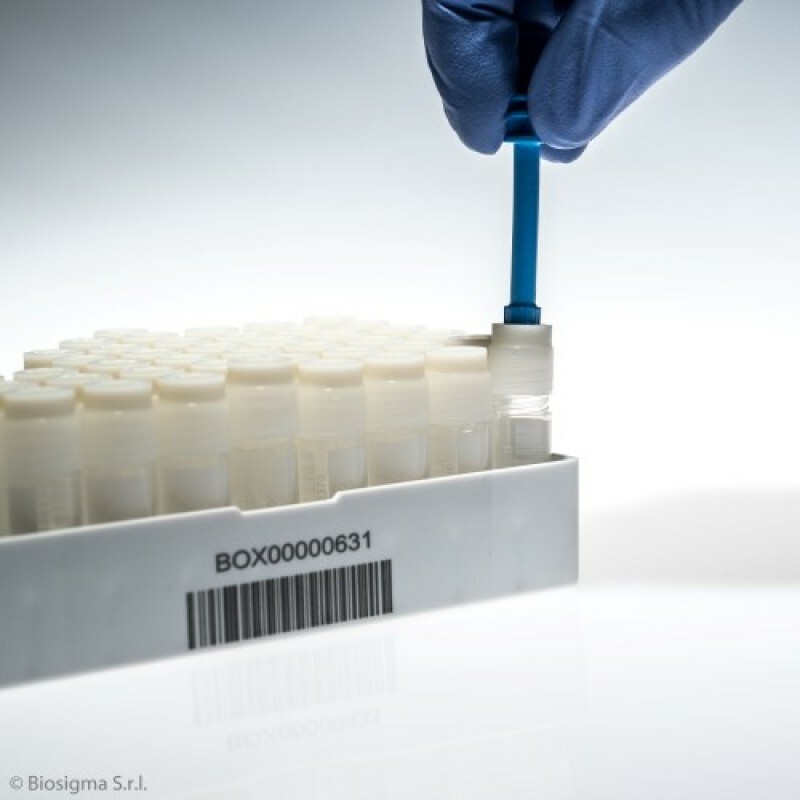 CryoGen® Box 81 places - 2D - for 2 ml 2D tubes, light blue grid, numbered lid and grid, writing area on box side, barcode lasered on rack side, in polycarbonate, 132x132x52 mm. 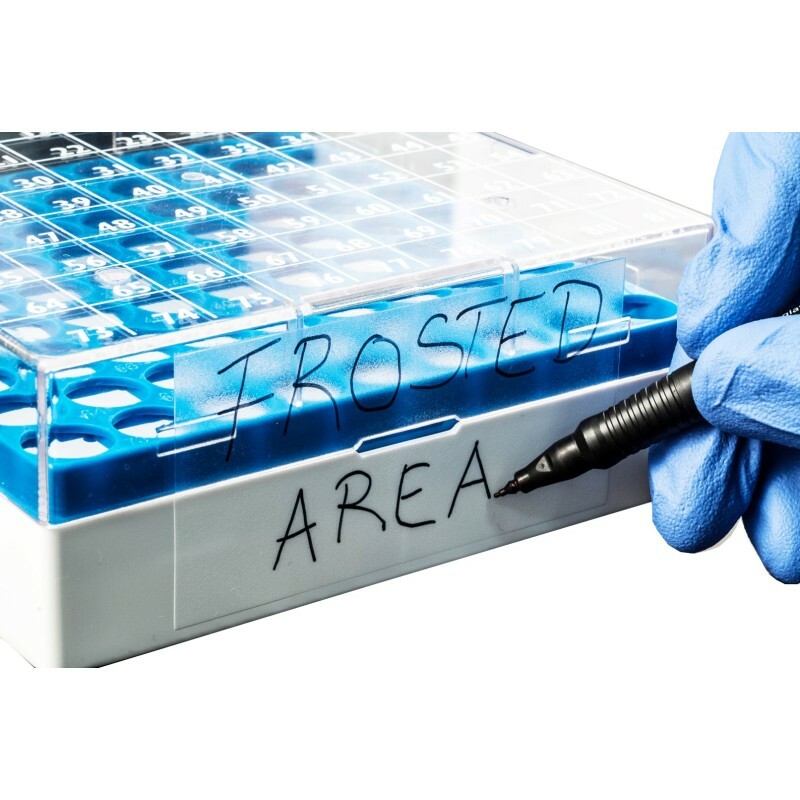 CryoGen® Box 100 places - 2D - for 2 ml 2D internal thread tubes, white bottom, numbered lid and bottom, writing area on box side, barcode lasered on rack side, in polycarbonate, 132x132x52 mm. 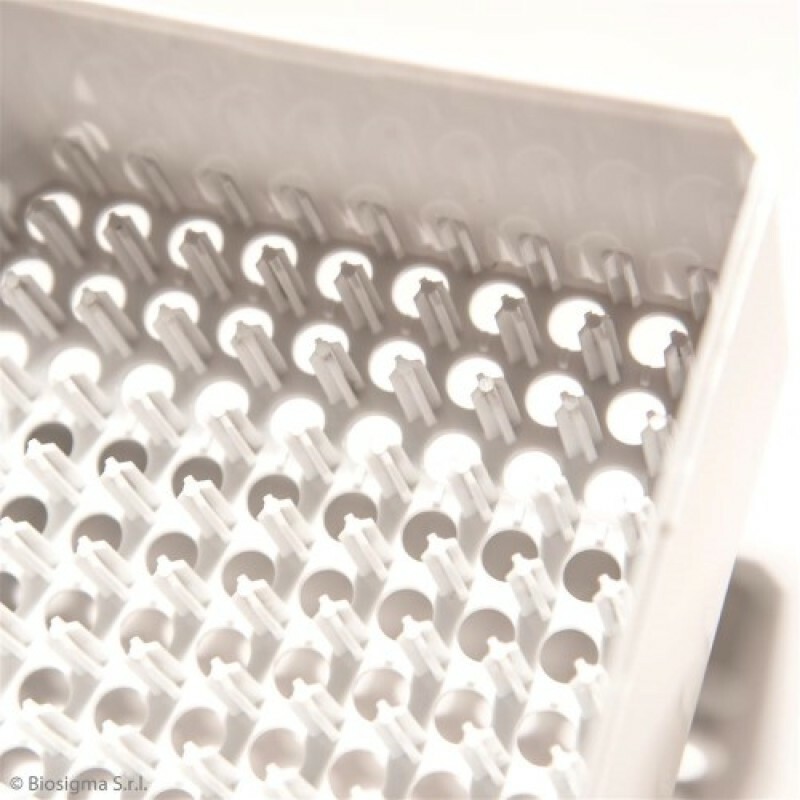 CryoGen® Box 100 places - 2D - for 5 ml 2D internal thread tubes, white bottom, numbered lid and bottom, writing area on box side, barcode lasered on rack side, in polycarbonate, 132x132x94 mm.